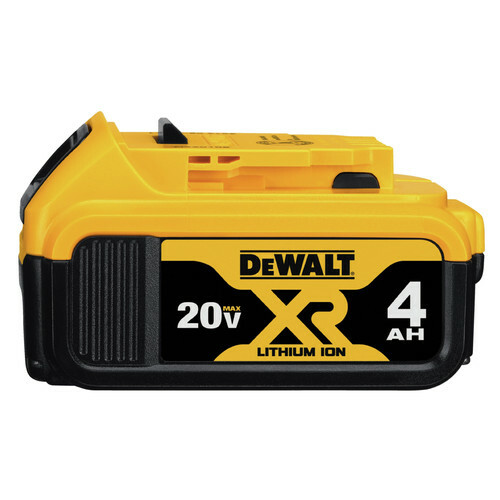 DEWALT 20V MAX XR Cordless Lithium-Ion Brushless Drywall Screwdriver provides corded power and performance - without the cord. The DEWALT-built brushless motor delivers maximum runtime to tackle the toughest jobs with ease. The DCF620 has superior ergonomics compared to the DeWalt DW272 corded screwgun. The Cone-Lock nosepiece design provides a more secure hold and can be easily removed for continuous production with minimal downtime. 4,400 RPM provides corded performance without the cord. It’s light, feels good, and no aggravation of the extension cord. Especially when on scaffolding. One 2ah battery lasts all or most of a day. So much easier to use than traditional drills. So glad I got it. Won’t sheet rock with out it. Purchased this just for a job to see how effective it can be. I was impressed at how well it works. Quiet operation with no marring on the drywall. Very consistent depth with each screw it shot in the drywall. Compared to another brand the only feature missing is the auto trigger. Which would have won this unit 1 more star. It performs well enough. What is not acceptable is the price on a replacement trigger!!! ($190 RIDICULOUS!! Awesome screw gun to cut the cord. The gun is really nice to use, somewhat lightweight. We use the 2.0 Ah batteries to keep the weight down and power up. The clutch is sensitive with adjustment. I prefer my old guns clutch with the cord from Porter Cable. But the versatility of this being clipped to your pocket is fantastic. I think we had a constant run on time per sheet with ability to install 30 sheets before the battery died? I think that is pretty good. Again no cord to drag around. We will be replacing all of our corded guns with these. Great Addition to my Workshop arsenal ! I only wish I had this tool available to me years ago!! The ease of use and the aggravation FREE work experience using it is GREAT!! been wanting it forever. Tyler tools had it at the price. I am a union carpenter Forman. I frame and drywall commercial projects. Can this be used for deck screws too? BEST ANSWER: Yes, you just want to be aware of how hot it may get as deck screws will work it harder than drywall screws. It won't pull boards together as good as an impact though. BEST ANSWER: Yes, the batteries are compatible. BEST ANSWER: We are a retailer for DeWalt and we have this item in stock for $129.00. You can purchase from us directly and we ship to Dallas, TX.